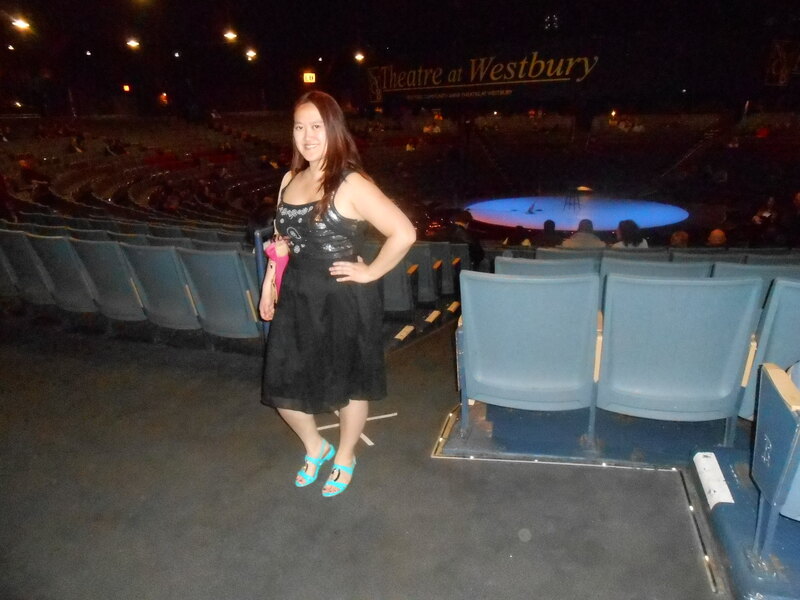 I headed to the Theatre at Westbury in Long Island to meet up with a friend to see Comedy Central star, Lewis Black on tour (The Rant is Due). Lewis Black is known for his “comedy style, which often includes simulating a mental breakdown, or an increasingly angry rant, ridiculing history, politics, religion, trends and cultural phenomena.” We got to the theater early and found our seats. 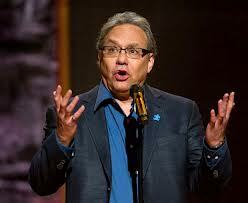 It wasn’t too long until Lewis Black’s comedian friend John Bowman came up to do his bit. He was great- Weird, fun, cynical and played these cool twisted songs. After that, the man of the hour, Lewis Black came out to thunderous applause and his first comment was, “I wish I was going to the show that all of you are making so much noise for!” Lewis Black was hilarious– He definitely made me laugh and I loved that he could back up what he was talking about, making compelling points about the absurdity of our world, whether it was social security, government, Obamacare, TV in the old days, Facebook, congress, business, and so much more. I was in stitches hearing about his experience with signing up for Facebook and then Spotify through Facebook. Also when he discussed the difference between “dumb” and “stupid” as well as Democrats and Republicans. Or when he went on and on about social security and long division, proving how it’s impossible to figure out. And when he likened ADD medication for children to speed and discussed how we all have ADD & cannot focus on just one thing anymore. 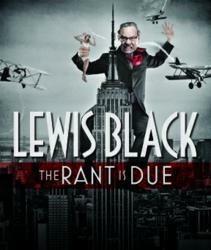 The list goes on… I had such a great time seeing Lewis Black perform and it was well worth the travel to Long Island. Afterwards, my friend and I were trying to find a nice spot for dinner. We stopped in at Frank’s Steakhouse but the waitress was rushing us to order because the kitchen was closing and was quite rude about it, so we decided to take our business elsewhere. We ended up finding a Ruby Tuesday, and we were not disappointed. The food was delicious and the service excellent. I started off with the “Tropical Sunrise” drink, which is a blend of mango, pineapple, and O.J. shaken with ice and served with a splash of grenadine and a cherry. It was pretty good. 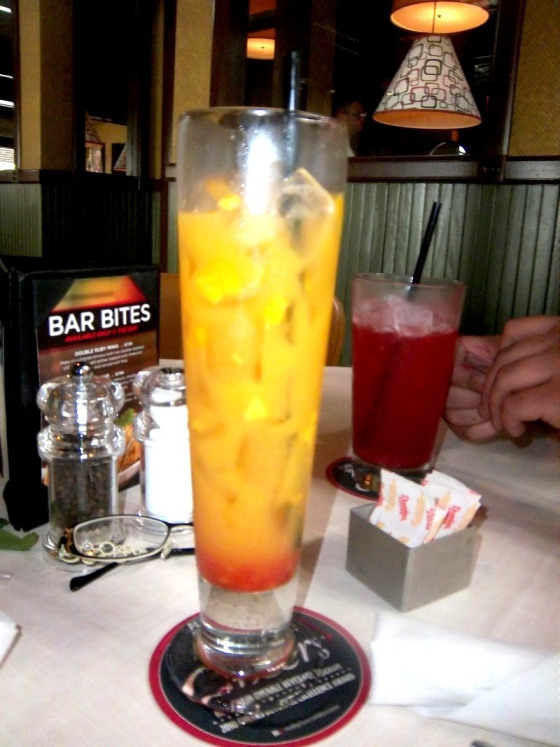 I liked the bits of mango mixed in with the drink and loved the tropical fruit flavors together. As for the food, my friend and I shared the crispy coconut shrimp appetizer which was very tasty. 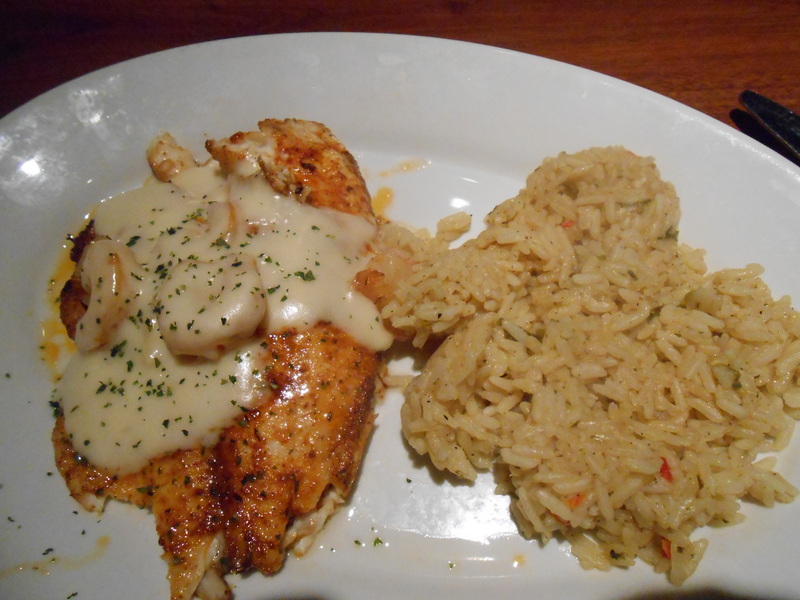 For my meal, I chose the New Orleans seafood, which consisted of creole-seasoned tilapia topped with sauteed shrimp and a rich, creamy Parmesan sauce. This also came with two sides. I chose rice pilaf and the salad bar option. 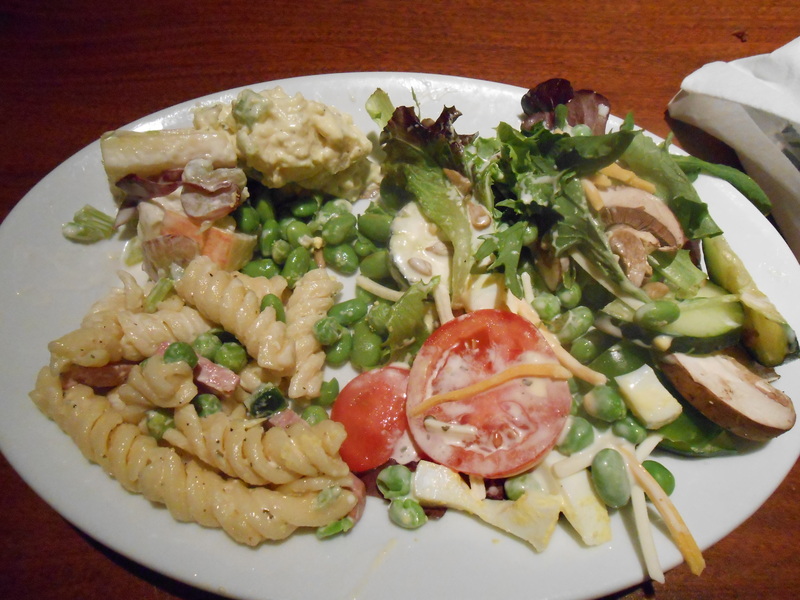 I really love the salad bar because you can create your own deliciously healthy salad… I added mushroom, peas, onion, tomato, sunflower seeds, edamame, peas, cheese to my salad, along with a bit of pasta salad, apple salad and potato salad. It was almost a full appetizer in itself! Then my entree came and it was wonderful. The tilapia was flaky, tender, nice flavor and the shrimp in the Parmesan cream was divine. The rice pilaf was decent– Maybe could have been seasoned a bit more but still pretty good. Of course I had to take most of it home, and it was just as good the next day. 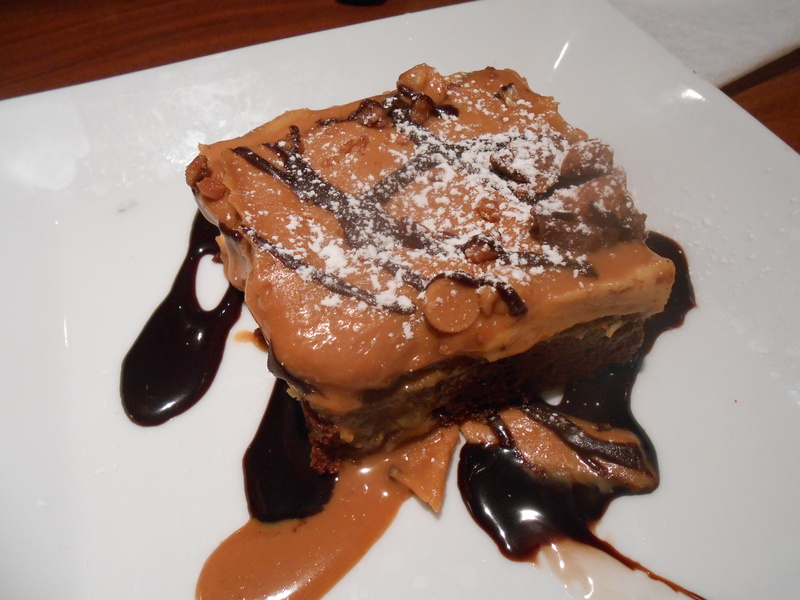 Last, my friend and I shared an amazing peanut butter brownie with topping of caramel spread, with chocolate and caramel sauce mingling around the brownie. It was delectable… Very rich, deep peanut buttery flavor with the chocolate and undeniable taste of sweet, sticky caramel. I had a wonderful night in Long Island… Top notch, hilarious entertainment by Lewis Black & John Bowman and a delicious dinner at Ruby Tuesday!